In a summit welcomed by Washington and Pyongyang alike, the North Korean leader had an ace card. 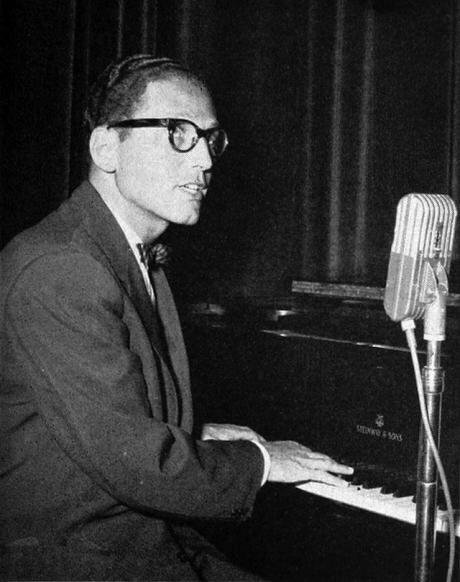 Tom Lehrer performing at UCLA's Royce Hall, January 1960. Wikicommons/ Associated Students, University of California, Los Angeles . Some rights reserved. 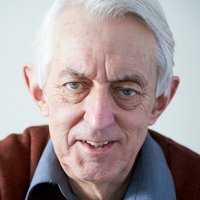 The previous column in this series discussed the prospects for the meeting in Singapore on 12 June between Donald Trump and Kim Jong-un. Even before the two leaders had shaken hands, some of the United States president's loyal supporters were promoting him for a Nobel peace award. With a touch more scepticism, the column took the view that the great dealmaker might prove not to be in control of the event, perhaps even taken for a ride by his much younger interlocutor (see "Kim Jong-un to Trump: bring it on", 7 June 2018). It noted the skill with which the North Koreans had already reached out to other world leaders, for example by agreeing to meet Vladimir Putin (who has invited Chairman Kim to Moscow in September) and by extending a hand to his ally Bashar al-Assad. The latter action really did seem an in-your-face insult, given Washington’s problems with the Syrian leader and his Iranian backers, yet the Sentosa summit went ahead regardless. In the event, Mr Trump hailed the outcome as a great success. North Korea was no longer a nuclear threat to the United States; Chairman Kim was a person with whom he could readily do business; the regular programme of joint US-ROK military exercises would be suspended; there was even a chance that sanctions on Pyongyang would soon be lifted. Trump’s supporters hailed his outstanding diplomatic skills, and friendly tabloid newspapers in Britain echoed those Nobel calls. Maybe that award will happen, but two things about the peace prize are worth remembering. The first is that, in the context of most peace agreements, the usual practice has been to award the prize jointly to both parties. The DPRK's human-rights situation means that is hardly likely. The second is that the Nobel committee has been embarrassed before, notably with the honouring of Henry Kissinger (and North Vietnam’s Le Duc Tho) in 1973 after a deal to end the war in Vietnam. The then US secretary of state's gruesome record led the satirist Tom Lehrer to see it as the moment "political satire became obsolete”. This background too would count against a choice of Trump. So what of the outcome of the Singapore meeting? Here are three initial conclusions, beginning with the atmospherics. First, the easing of regional tensions following the core improvement in Washington-Pyongyang relations should certainly be welcomed, though there is consternation in US defence circles, and in Japan and South Korea, over the ending of the bilateral US/ROK wargames. The perilous security situation in early 2018 might not have led to a war, but the risk of untoward escalation – well conveyed by the acronym AIM (accidents, incidents and mavericks) – really was present (see "North Korea: a catastrophe foretold", 29 September 2017). Second, the fact that both sides seem content is important, the great dealmaker having done his deal and Kim Jong-un looking happy. In turn that raises the question of whether the meeting will lead to long-term security, and this is where it is sensible to look a little deeper. Third, the agreement itself comes across as no more than a statement of intent. North Koreans will “work towards” denuclearisation with no detail as to timescale or process, yet Kim goes home having established himself as a world leader, meeting Trump on equal terms and, soon, Putin. For the DPRK and Kim Jong-un himself, what comes first is the family dynasty which is synonymous with the regime. There must be no deviation from loyalty to those, whose survival are ensured by a brutal security system. Two peak strategic aims follow, which Kim Jong-un has pursued since soon after he inherited power in December 2011. One is the desire to retain nuclear weapons (or at least rapidly reconstitute the ability to produce them). This has been consistent at least since the aftermath of 9/11 when George W Bush declared North Korea, then ruled by Kim's father Kim Jong-il, to be part of the “axis of evil”. The regime saw the fate of Saddam's Iraq and Gaddafi's Libya, and a nuclear force of its own became the priority. The other aim in the "parallel development" strategy is to boost the North Korean economy, and Kim will welcome the fact that the Singapore meeting should advance that. Even with all this, it remains striking that this young man was able to meet Trump and come out satisfied almost to the point of smugness. Any surprise at this may partly reflect an ethnocentric western assumption that someone like Kim Jong-un is actually the low-capacity “little rocket man” of Trump's insult – someone who, having rarely left his country, has little understanding of the rest of the world. This is a dangerous illusion on several levels, two being especially significant. The first is that the regime has long maintained embassies in key capitals staffed by intelligent, knowledgeable and above all loyal diplomats, systematically channelling information to Pyongyang, not least in terms of the personalities and competences of leaderships. The second relates to Chairman Kim himself, who spent a decade being educated in Switzerland. Much of that time was spent at an international language school, but in his later years he also attended a Swiss state school. In such an environment he might not have been a star scholar but would have spoken Swiss German, had knowledge of High German, and would also have been taught English and French. Furthermore he is reported to have had a near-addiction to basketball with a particular love for the Chicago Bulls. Put bluntly, it is wise to assume that Kim Jong-un has a very much better understanding of the United States and its political and social culture than Trump has of North Korea. Furthermore, in any one-to-one meeting held in the absence of advisors, Kim’s knowledge of English will have given him precious extra moments to assess Trump’s contributions to the exchange than the other way round. At some stage, perhaps in the next few days but more likely in the coming weeks or months, Donald Trump will wake up to the fact that he has been outplayed by little rocket man. With his remarkable ego and self-belief this may take time to sink in. Only when it does will it be possible to assess the outcome of the Singapore summit, and then in all likelihood it will be a matter of waiting for the fireworks.